This is one of Winnipeg’s earliest buildings, constructed in 1862 by E.L. Barber (1834–1909) and continuously occupied for over one hundred years. Of American birth, Barber established prosperous mercantile and real estate ventures in the Red River Settlement. He laid out many of the streets in Point Douglas, then the estate of his father-in-law, Robert Logan (1773–1866), a fur trader who became a prominent settler and a councillor of Assiniboia. 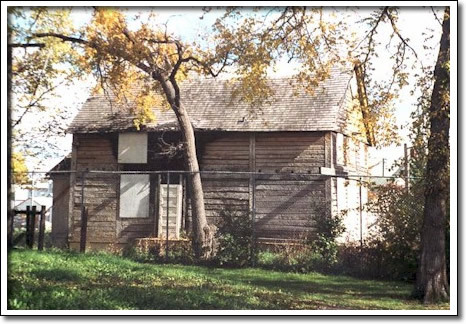 In 1870 Dr. John Schultz fled to this house after escaping Louis Riel’s forces at Upper Fort Garry. Barber, Schultz’s real estate partner, smuggled him out of the colony.